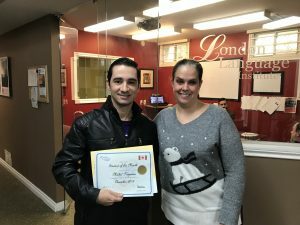 London Language Institute is pleased to be starting a Student of the Month Program effective September 4, 2018. Details: Each class will have a monthly winner chosen by your core teacher. Winning students will receive a special Certificate. 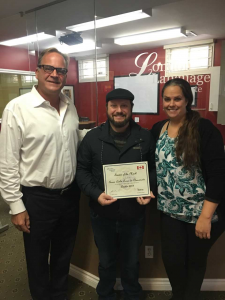 There will be one overall winner (entire school) each month who will receive a special gift package from London Language Institute. Winners are selected based on their effort and performance in class. 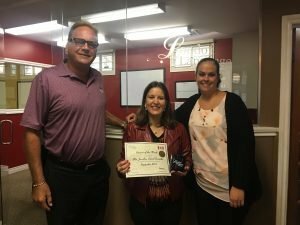 These awards are not solely given on academic performance. We wish everyone the best of luck and welcome any questions you may have. Winners will be announced on the final day of classes (last Friday- exam day). 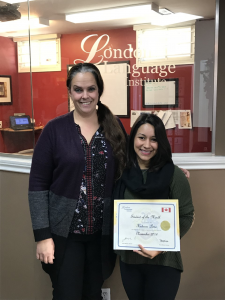 LLI Student of the Month September 2018- Alda Leonel Carvalho.